New York : Riverhead, 1998. Devotes an essay to each of the plays, emphasizing their originality and their influence on subsequent literature, feeling and thought. Most anything Bloom writes is worth reading. Occasionally he can be tiresome, occasionally he can be repetitive; occasionally he can be tiresomely repetitive (see the later chapters from his book "Jesus and Yahwah--the Names Divine"). But he, along with Jacob Neusner and Norman Cantor (all of them Jewish, coincidentally?--and Richard Posner), are the most genuinely educated writers we have in America. Anything Bloom writes has been well thought through. It doesn't matter if you agree with him on everything. It's merely enough that he gets one to think! This book could have been subtitled, "Shakespeare for the Common Reader". Despite the fact that Hamlet and Falstaff intrude unexpectedly, and interesting characters are kept off-page, the book contains many interesting insights into the plays. And so Bloom inspires us to re-read Shakespeare. Though Bloom apparently now agrees with me on Measure for Measure, which I have taught in Freshman and Sophomore college classes for thirty years--often preferring it to the old ethnic chestnuts of MV and Othello (Shakspeare's only Arab play, the Moor)--this is not a particularly revealing critical work, and an opportunistic venture, since Bloom's whole career was based on dissing the canon in favor of Blake, Blake, Blake. And his work Anxiety of Influence is much more innovative, though it derives from contentious, patriarchal Freudianism. 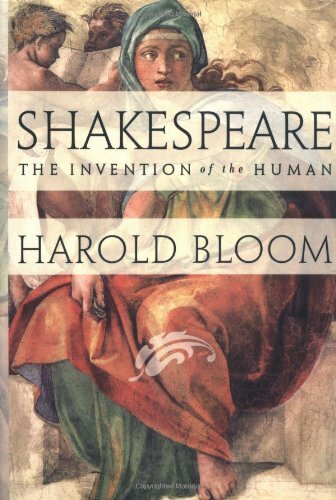 A deeply interesting book that analyzes each and every one of Shakespeare's plays showing how the Bard "invented" the human as we know it. In terms of a being capable of self reflection and self evolution. At times it is heavy going, but the parts about Falstaff, Hamlet and Macbeth are really enjoyable, of course much depends also from which plays you like most. A scholarly, yet not pretentious look at Shakespeare's works as a reflection of human nature. A very good reference work. Read Bloom's take on any play before reading/seeing it, and you will surely get much more out of it. Alternately really insightful and really annoying. Bloom is so full of himself I fear he may explode. Often incomprehensible but sometimes helpful before watching a performance. I adore this book. It gives a voice to the genius of shakespeare. I'm not all the way sure I agree with Bloom's ideas on Shakespeare, but I'd be the first to add that Bloom is very hard to disagree with. Rating this book is difficult. On the one hand, it is full of some wonderful insight into Shakespeare's plays. On the other, it contains an equal amount of preposterous insight into Shakespeare's plays. It is well worth the read overall, but some of his "insight" must be taken with a grain of salt.